Dr. Marcela Jolivette is a bilingual General Dentist practicing in Prairieville, Louisiana. Dr. Jolivette grew up in Long Island after her family migrated from Lima, Peru. After high school she joined the United States Air Force where her career in dentistry began as a dental lab technician. 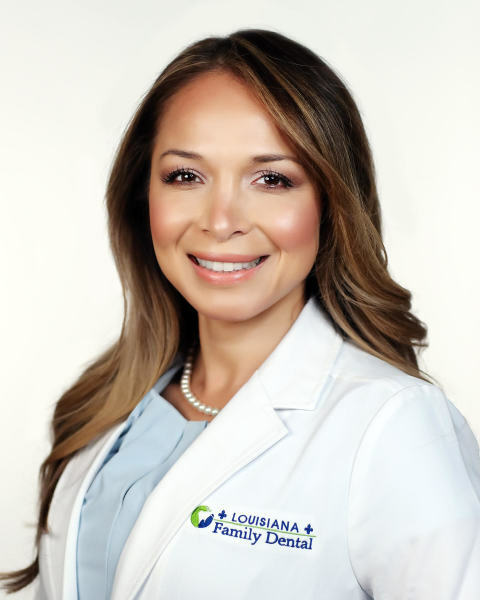 Following her military service, Dr. Jolivette completed her Bachelors of Science degree in Biology from Louisiana State University in Baton Rouge. Dr. Jolivette then went on to receive her Doctor of Dental Surgery degree from LSU School of Dentistry in New Orleans.